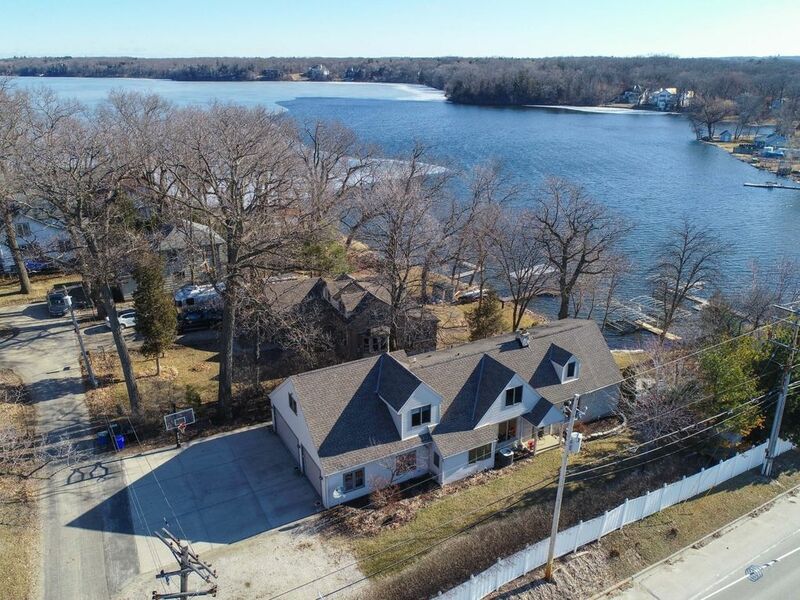 You will absolutely fall in love with the views and convenience of this wonderful 3 bedroom, 2.5 bathroom home situated on Upper Nemahbin Lake! Enjoy the summer on the lake boating, kayaking, tubing, fishing or just relaxing to the sounds of the water. Even the hiking trails are close by. This home provides plenty of space. Generously sized bedrooms with ample closet space. Breakfast bar in the lower level offers even more entertaining space. With amazing views of the lake, nature trails close by, and freeway access, what more could you ask for? Truly an exceptional home for those who love to be on the water! Directions: I-94 to Sawyer Rd exit South to Delafield Rd, Delafield Road East to Home on the corner of Peninsula and Delafield Rd at 2102 N Peninsula Road.